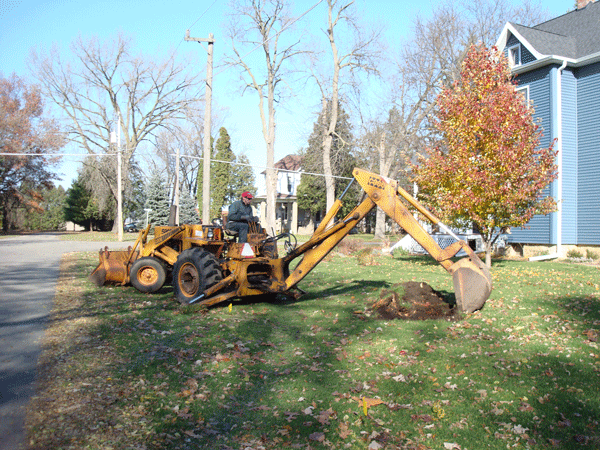 This year we applied for and received a $3000 “Preparing for Emerald Ash Borer” grant from Trees Forever. 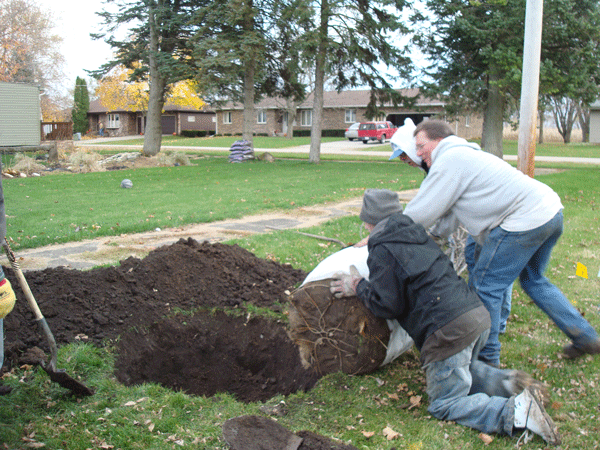 We held a tree planting over Veterans Day weekend. Ten percent of our population participated. Not only did we make great strides in our tree population, but volunteers who had been basically strangers formed a bond through hard work, respect, laughter, and a shared goal of making lasting improvements to our Village. Educating our youth on appreciation and care of trees through Arbor Day celebrations continues to be a high point of our year. 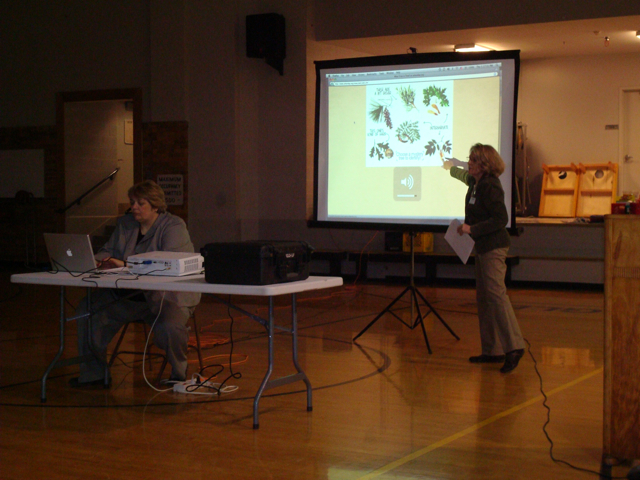 We have been holding our Arbor Day celebrations at Steward Elementary School. One year we used the arts to teach. As a short story about a willow tree was read, visual artists worked at painting willow trees on canvas. Another year we featured music about trees. This year we figured the dollar value specific trees on the school grounds offer in property value impact, storm water interception, energy savings, and CO2 sequestering. 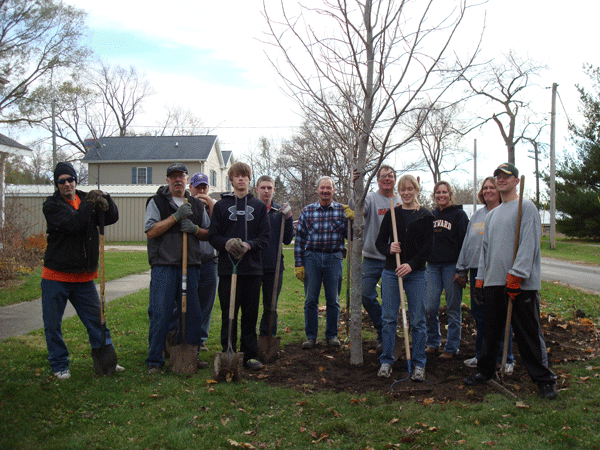 Tree City USA is a tree planting and tree care program sponsored by the National Arbor Day Foundation for cities and towns in the United States. 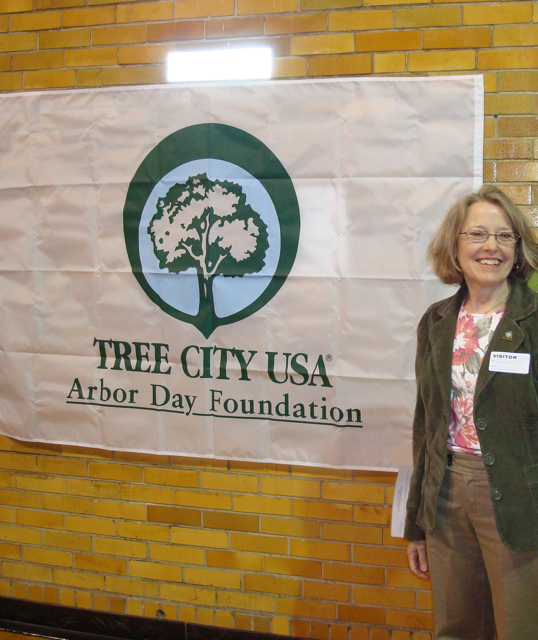 To qualify for Tree City USA, a town or city must meet standards established by the National Arbor Day Foundation and the National Association of State Foresters. The Village of Steward is proud of this recognition and works hard to establish, protect, and preserve trees in their community. Karen Bonnell, chair of Steward’s tree board, proudly stands by a poster that was given to the Village of Steward in observance of becoming an official Tree City USA. 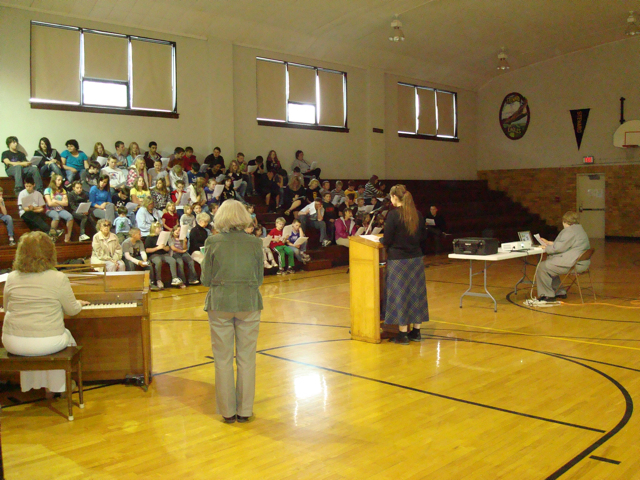 Students at Steward Elementary School take part in the annual Arbor Day program in 2011. Students are treated to music and poems about trees, and are taught facts about trees to appreciate their beauty and contribution to the community. Students also join in hands-on activities to further interest them in preserving and caring for our trees and our environment, and to take pride in their community.